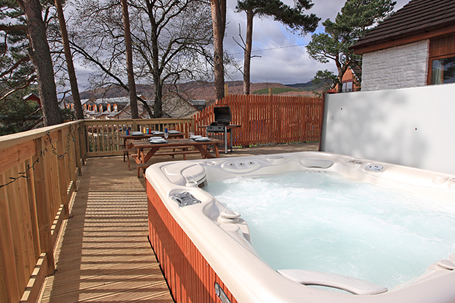 The Shieling is just 2 minutes drive from Aviemore Town Centre. 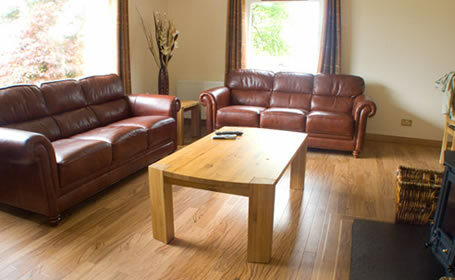 Decorated throughout to a very high standard, the house sleeps 12 adults. 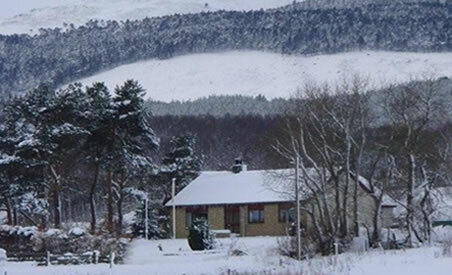 Magnificant views of the Cairngorms from the lounge. 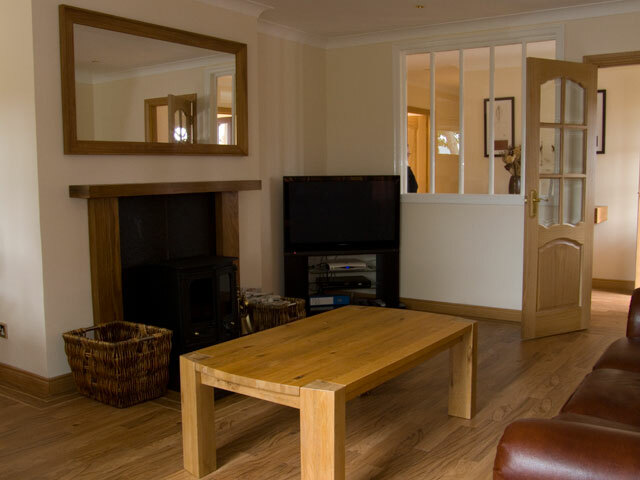 The spacious L shaped living room and dining room are welcoming and comfortable, with a real log burning fire, two large soft leather sofas, a 42" plasma television with with full SKY + HD package a DVD player and a CD player. 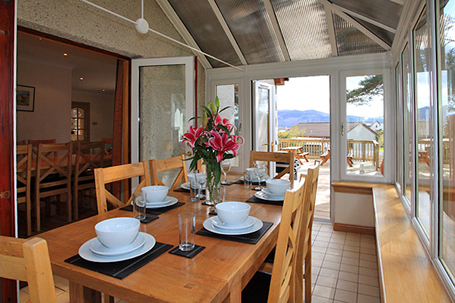 The main dining area seats eight, whilst the adjacent conservatory dining table comfortably seats six.The house has a high speed broadband internet connection and is centrally heated. 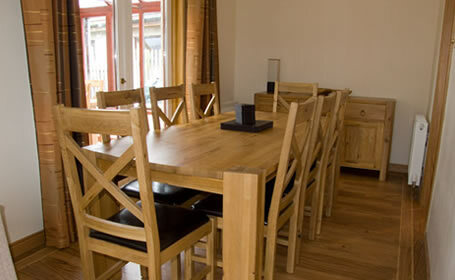 Dining area for 8 with adjacent conservatory dining for a further 6. 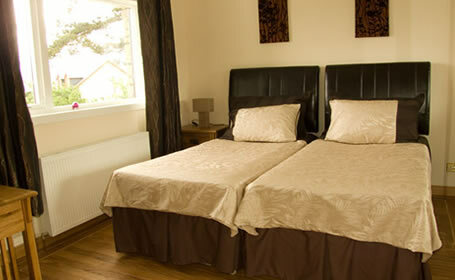 Bedroom 1 is a large family room with king size bed plus 2 Single beds. Bedroom 2 has a King size bed and en suite shower room. Bedroom 3 has a Double bed and en suite. Bedroom 4 has two single beds. Bedroom 5 has two single beds. 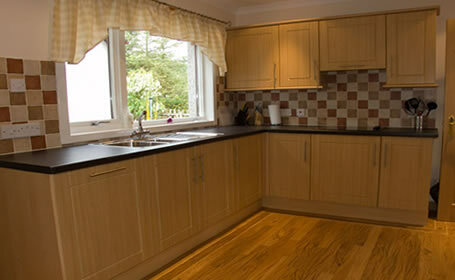 All bedrooms have mirror fronted fitted wardbrobes other than the double bedroom which has free standing wardbrobe. All bedrooms also have a Hairdryer and CD / Radio. All bedrooms apart from one have a TV/DVD with built in Ipod charger. 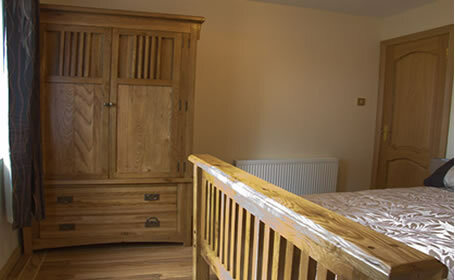 We also supply a travel cot, push chair and a high chair (please provide your own child's linen). 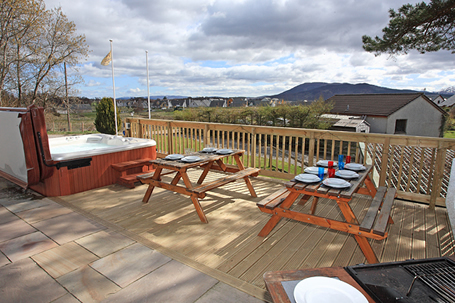 Large Hot Tub on outside decking. The tub has seating for 8 with fabulous views. Large conservatory. 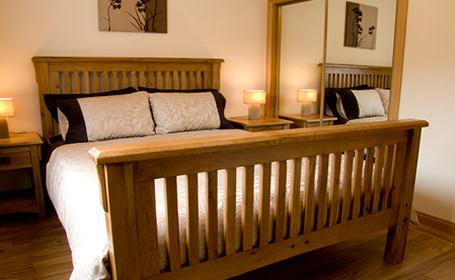 For more information, available booking times or to see our rooms and facilities please use the menu at the top of the page. You may also contact us by using our general enquiries form, email information@novamed.co.uk or by calling 01479 812 266. Price: Detailed pricing on request. 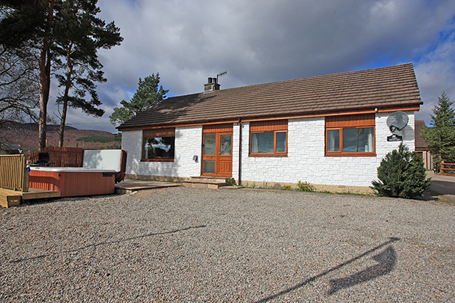 Location : The Shieling is positioned at the North end of Aviemore within 15 min's walking distance of Aviemore Centre. Local Activities ; Walking, Golf, Skiing, Snow boarding, Swimming, Cycling, Horse Riding, Canoeing, Shooting, Quad biking.